Good luck negotiating with Stalin! 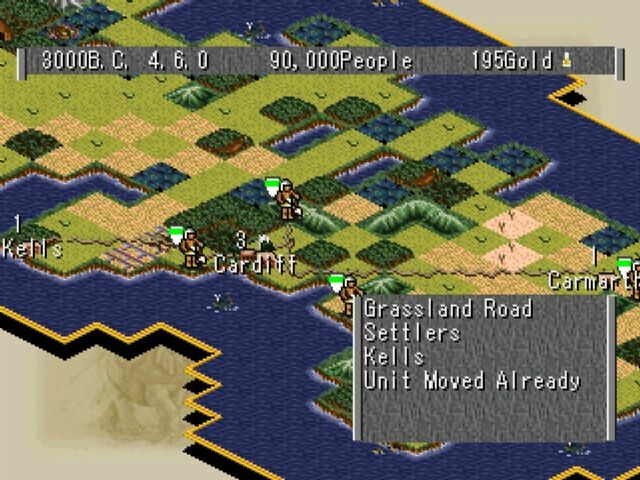 The Windows 95, multiplayer enabled-update of the original Civ, called CivNet, was where it all started for me. Seriously though, I don’t think I’m in any danger. There is far too much going on in my real life for me to be able to replicate those heady summers of my childhood spent glued to the computer monitor while my armies swept across an unsuspecting continent and I diversified my economy and built the Pyramids in Tokyo. Also, I’m play Civ IV (vanilla) which isn’t nearly as addictive as II or III, in my opinion. So I should be OK.
International conflict threatens Russia, England, and Greece during a late-age CivNet game. These blocky maps and randomized continents were studied far more vigorously than any of my school books as I sought a path to victory! For those of you who aren’t familiar with the wondrous game (seriously, you’re using your computer wrong), there are six versions ranging from the original Civilization released in 1991, to Civilization V from 2010 (counting CivNet as a separate entry in the series rather than an update and excluding the arguably quite distinct Colonization and the sci-fi themed Alpha Centauri and Beyond Earth (and I’m not even going to acknowledge Civilization Revolution beyond this highly dismissive note 🙂 )) and a whole host of expansions and additions, not to mention player-created content. Civilization is a turn-based strategy game (as opposed to strategy games of the real-time variety such as Age of Empires, for example) that has been called the most important strategy game ever made and is routinely ranked amongst the best compute games of all time, it’s rich level of detail and repeat playability causing it to standout as a really quite unique gaming creation. But more about that later. Choosing the right place to found your cities is key. The object of all six Civ games is to guide your civilization (you can chose from a historical selection at the beginning of the game or create your own one) from the stone to the modern age, exploring, expanding, trading, fighting and/or negotiating your way to the top in the process. With control over the economic and cultural output of your civilization you must pay equal attention to developing your country’s infrastructure and building schools as to advancing your military tech. Devastating wars of conquest can be a great path to victory but so can the construction of world wonders, control of the united Nations, or the launching of an interstellar spaceship to become the first nation to send out colonists to another star. Civ II boasted a newer interface with better graphics, more advanced AI, new game concepts and squabbling advisers played by real-life actors in annoying pop-up videos. It also came with a rather cool pre-seeded Earth map. If this all sounds a little detail heavy, that’s because it is, a feature that undoubtedly contributed to the rise of a dedicated if somewhat nerdy fan-base for the series which continues to this day with a bustling online community of modders and scenario builders actively keeping their megalomania-fueled dreams alive. Although I must confess to never having played Civ V, I consider myself a veteran Civer with a good nineteen years of gameplay under my belt. 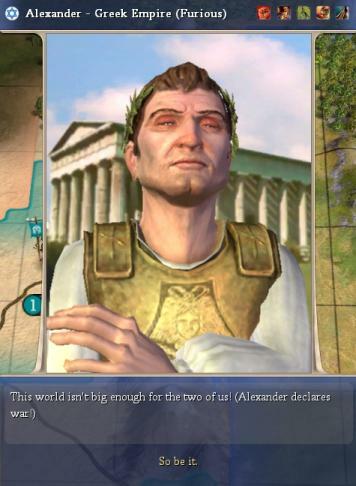 The slightly more polished graphics of Civ IV could lead to animated diplomatic clashes with rival world leaders. It looks like the time for talking has pass here though. Alexander the Great is pissed! My first brush with the franchise came when I got my very own PC circa 1996 (yes, my own – it was in my bedroom and everything! ); a Packard Bell that shipped with a free copy of CivNet for Window 95. Instantly transfixed by the premise, not to mention the promise of ultimate power over the course of an entire civilization, I was soon saving my pocket money with an eye to upgrading to the newly launched Civilization II – obviously MicroProse’s cunning aim in giving away a free copy of CivNet to begin with. 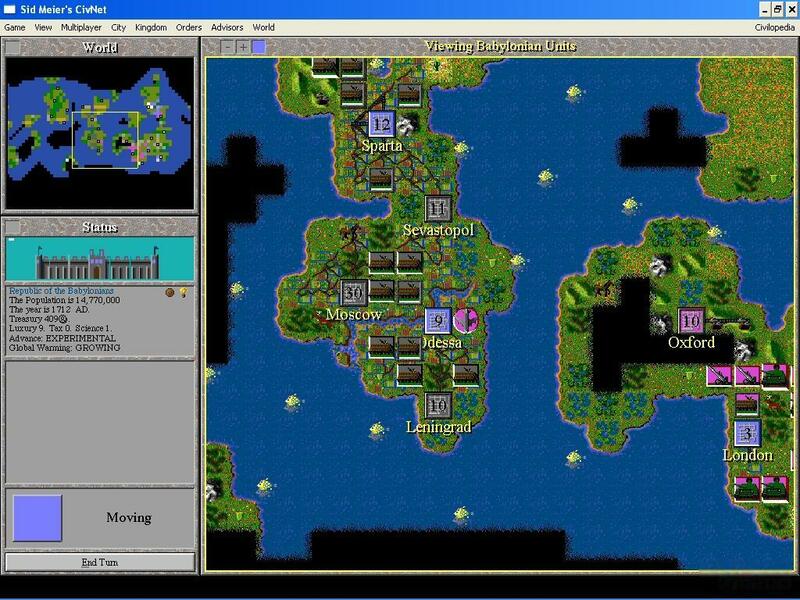 Unlike CivNet, Civ II came with an editor which allowed players to easily create their own maps and custom scenarios. Its launch was also followed by an official expansion pack, Fantastic Worlds, which introduced both science fiction and fantasy elements to the game, challenging players to test their leadership skills against invading aliens or in worlds populated by wizards, elves and dwarfs. However it was not until the launch of Civilization III (the pinnacle of Sid Meier’s series imho) that the whole user-made mod craze really took off for me. The pretty but static city-view screen in Civ III. Here, somebody seems to have successfully clogged this town with wonders from the towering Colossus on the coast to SETI’s huge radio dish nestling in the shadow of the Great Wall in the background. 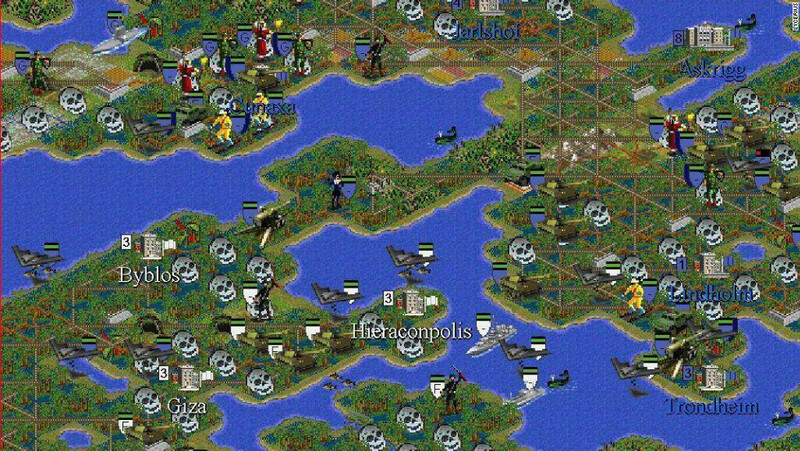 The Civ III game engine had serious downsides however – there was no ability to include scripted events, for instance – yet creative modders came up with some ingenious ways to get around these shortcomings leading to range of highly detailed, imaginative mods. El Justo’s Cold War Deluxe and Age of Imperialism are both shining examples of this practice with historically accurate gameplay, hundreds of unique units, new soundtracks, and meticulous play-testing leading to flawless and truly immersive gaming experiences. A screen shot from Age of Imperialism: a lovingly created scenario set in the late nineteenth and early twentieth century that allowed players to control one of thirty two historically accurate countries and their empires leading up to and through World War I.
I must have lost weeks of my life playing these creations and even more coming up with strategies and sharing tips and stories with the friendly and interactive online community that grew up around such mods. And now for something completely different: The Civ III Escape from Zombie Island mod. Historical accuracy: 0. Creativeness and fun: 10+. Yet more than simple entertainment, the truth is that Civilization inspired me and, dare I say it, actually taught me things. The history, geography and politics I encountered in the game intrigued my young brain far more than the drab classroom-based attempts to engage me on such subjects ever could and I found myself voluntarily reading up on wars, nations, and social structures in my free time. In secondary school (middle-high school for any Americans) history class had always been a dry endeavor and I had dropped it from my syllabus as soon as I was able. Yet at university it was my first choice and I loved it so much I gained a Masters in it too. I don’t think I ever admitted this to any of my professors (or even my classmates) but Civilization is almost certainly responsible for awakening and nurturing this passion in me and was probably a much better introduction to many important historical subjects than most people ever receive at school. 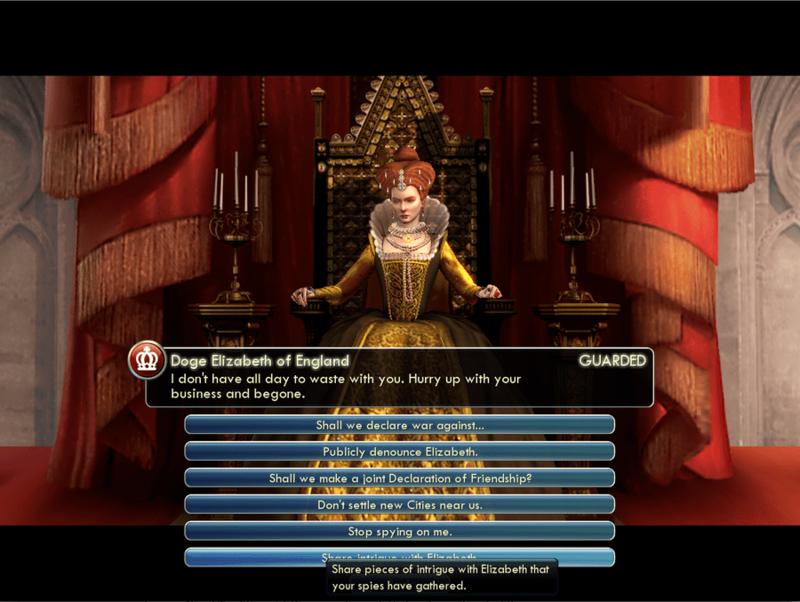 Why was Queen Elizabeth such a stickler for religious freedom in Civ IV? I didn’t know – but inspired by the game, I soon found out reading up on Tudor history. My experience is in no way unique of course, and Civilization has actually been used by teachers as a creative way to bring subjects to students’ attention in schools across the world. 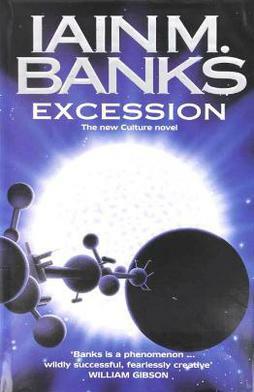 Moreover, I know I am in good company: one of my favorite ever authors, the late Iain M. Banks was a known Civilization addict and it is said his experience of the game inspired the creation of one of the most enjoyable Culture novels: Excession. Are the insanely powerful minds of the Culture essentially playing a great game of Civilization with the universe? The world is a hellish nightmare of suffering and devastation. There are 3 remaining super nations in the year 3991 A.D, each competing for the scant resources left on the planet after dozens of nuclear wars have rendered vast swaths of the world uninhabitable wastelands. The ice caps have melted over 20 times (somehow) due primarily to the many nuclear wars. As a result, every inch of land in the world that isn’t a mountain is inundated swamp land, useless to farming. Most of which is irradiated anyway. Lovely. In fact Reddit users were so traumatized by Lycerius’ experiences that they even set up another thread called The Eternal War, which is both dedicated to ending the virtual suffering of this ravaged world and allows users to post their own tales of never-ending Civilization wars. I’ve not done any research beyond the Reddit threads, but I am pretty sure Lycerius’ game is the longest ever played. The fact that over this length of time the Civ II engine produces such global stalemate, akin to the geopolitical situation described in Orwell’s classic dystopian novel 1984, is incredibly interesting and suggest the games creators were not too far off in their bid to create a game that mimics both societal development and the ultimate futility of war. 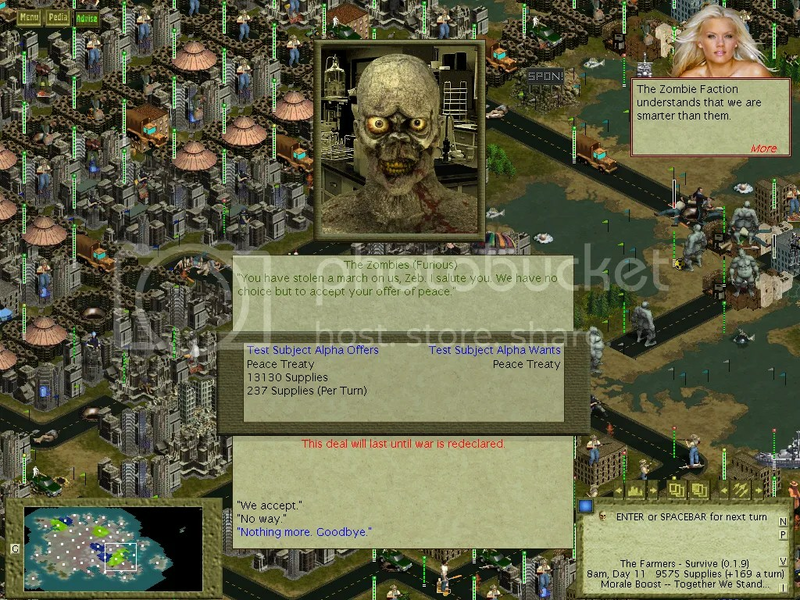 In Civ II nuclear fallout is aptly illustrated by skulls pockmarking the landscape around irradiated towns. Returning to Civ now, after several years away, I have to admit that some of the magic has gone. This may partly be due to the fact that I am playing Civ IV and I was never particularly fond of its cartoonish, faux 3D graphics (a superficial addition to a turn-based strategy game if ever there was one) or its interesting but in my opinion flawed civic system. Or maybe it’s just a part of getting older, growing up. Never again will I be able to spend quite so many guilt-free hours clicking away at world maps and adjusting sliders, not when I have actual things I want to accomplish, work to do and relationships to maintain. Perhaps this is why I can’t bring myself to justify spending the money on Civ V (just yet, anyway) and yet I still find myself going back for that one last turn that somehow morphs into another couple of hours. Honestly, I don’t know how my wife copes. 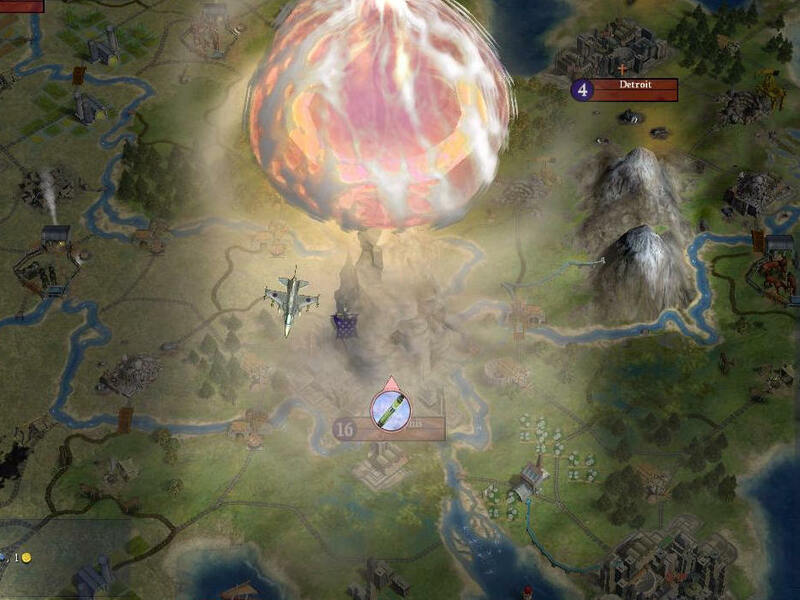 A nuke takes out an American city in Civ IV. In what must have been a stroke of genius, the creators of Civ IV employed the late, legendary Leonard Nimoy to narrate the introduction to the game, and he follows the player’s progress, rewarding them with a relevant quote read in his distinguished dulcet tones whenever they unlock a new technology. Even though I must have heard each quote a dozen time by now, I still get that tingle on the back of my neck whenever Mr Spock’s voice rings out over the world, encouraging and inspiring me to research fast and reach ever further. And that’s just it. I’m not a kid anymore; I can’t afford, and indeed don’t want to waste my time conquering fake worlds on my computer, not when there’s a real one out here to be a part of everyday. But nor do I want to forget that owe a lot to Civilization, to all the lessons it taught me not just about history and geography but about the struggles faced by our civilization(s) both now and in the past. The game inspired me and, 3D graphics or not, I hope it continues to inspire others. Tanks advance upon Budapest in the admittedly rather beautiful Civ V.
I will always be grateful for the passion for history playing Civilization in its various incarnations awoke in me, not to mention the joyous days spent expanding my empire and conquering other nations. To this day I cannot hear Beethoven’s Ode to Joy without picturing all those little pixelated fireworks exploding over my little pixelated cities as my virtual citizens celebrated in my honor. And I think there are elements of world geography that will only ever look familiar to me in blocky, CivNet map style form, but I don’t mind. Thank you, Civilization! Thank you, Sid Meier! 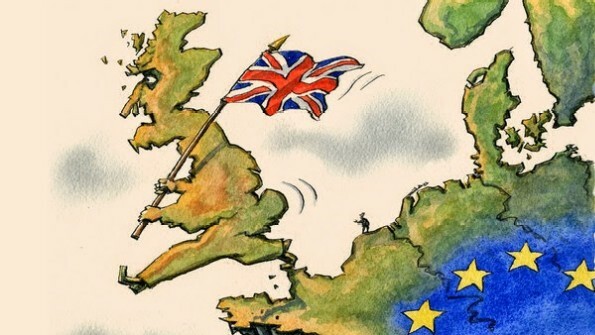 This isn’t a ode, it’s just a rambly blog post; but it is for you. Beethoven’s Ode to Joy in all its midi glory!